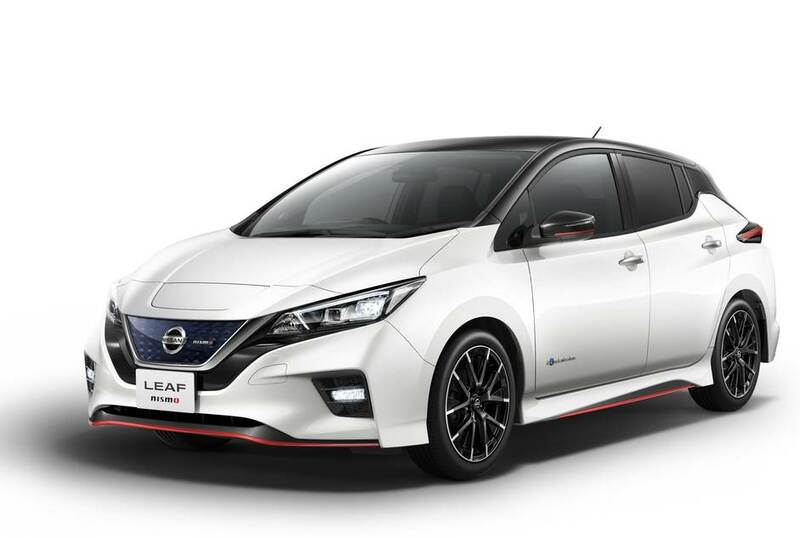 The Nissan Leaf Nismo will go on sale July 31 in Japan – combining, for the first time, the excitement and advanced technologies of the world's best-selling electric car with the sporty image and performance of the NISMO road car series. 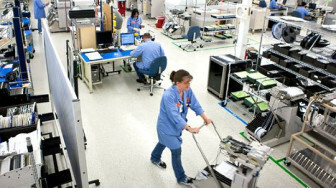 The model is based on the new Nissan Leaf, which debuted in October 2017. 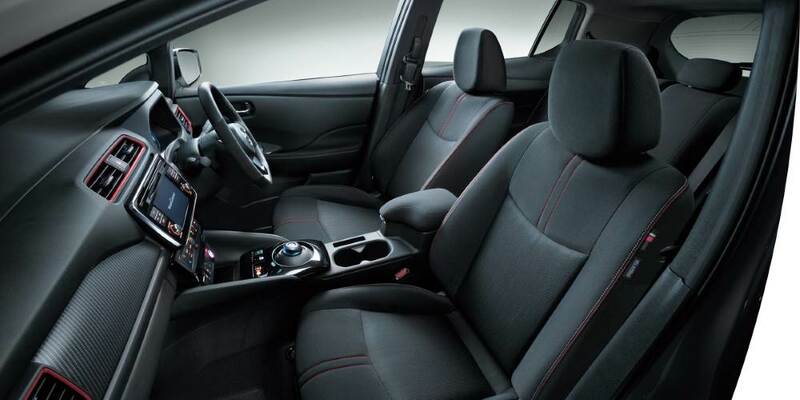 The new Leaf offers the exhilarating acceleration and environmental performance of a 100% electric powertrain, a dynamic design, and advanced technologies such as e-Pedal and the ProPILOT and ProPILOT Park autonomous driving features. 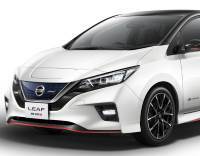 The Nissan Leaf Nismo features the characteristic layered double wings of the NISMO road car series, improving downforce without compromising drag coefficient. Signaling the high-performance driving provided by its low center of gravity, the exterior also includes custom 18-inch aluminum wheels that minimize air resistance. The nine available body colors include the NISMO series' custom Brilliant Silver (M)/Super Black two-tone and the Dark Metal Grey (M)/Super Black two-tone. 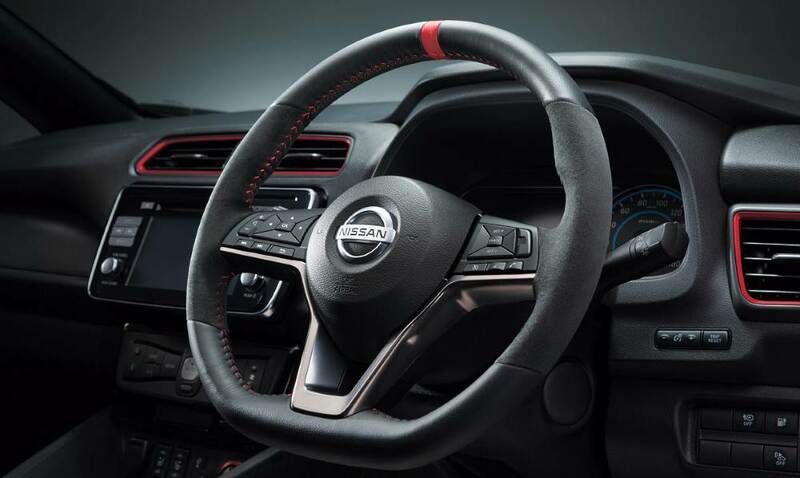 The sporty interior appeals to the senses with prominent use of NISMO's custom red accents, including the three-spoke steering wheel with a red center mark. 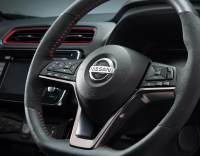 The instrument panel features a custom carbon-like finish, and the electronic shift has a gun metal chrome finish. 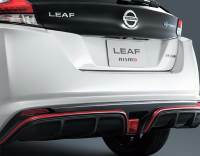 The Nissan Leaf Nismo features a custom tuning computer for more responsive acceleration, custom tires and suspension for improved handling and ride comfort, and stylish exterior and interior design. 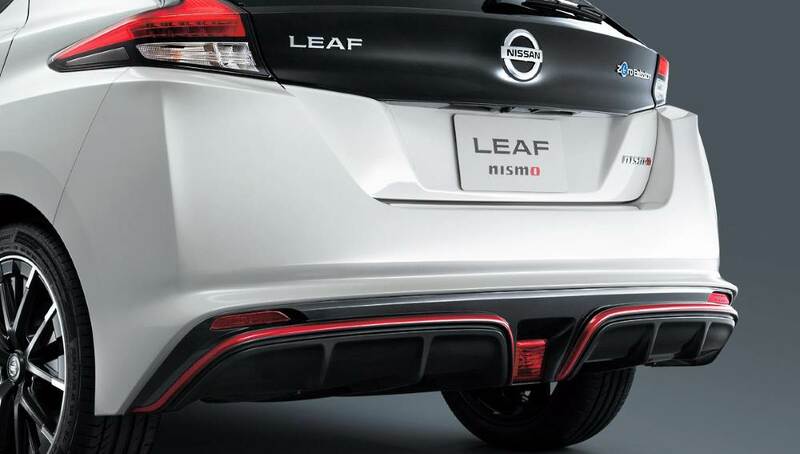 The Nissan Leaf Nismo's dedicated 18-inch high-grip tires and custom suspension system provide a comfortable ride and stable handling.